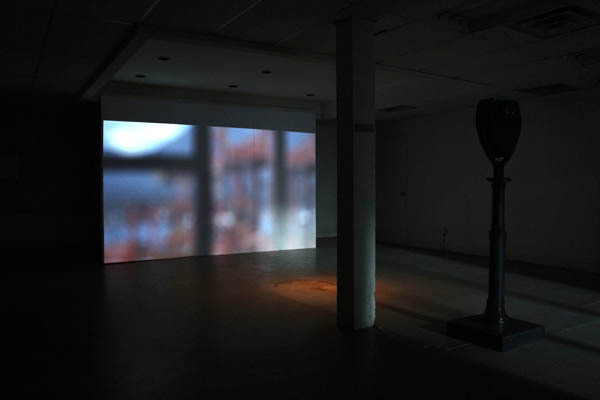 Depth Breadth Length Width enables participants to uncover the image of a landscape within a large abstract projection through the use of video-enabled sightseeing binoculars. 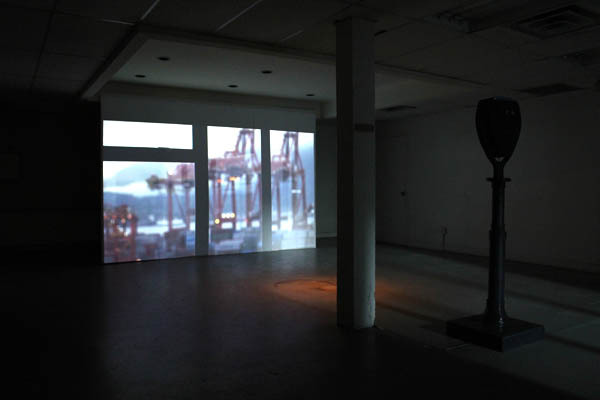 The installation pairs abstract painting with optical illusions and camera effects, tracing the source of the image back to a contemplative video of an industrial Canadian landscape. Using sightseeing binoculars as a familiar tool to focus, participants will be able to view the landscape at varying levels of clarity – implying that clarity may bring us closer to reality while abstraction and blurriness may bring us closer to thought. In this way, the work suggests ophthalmology as a metaphor for interpreting art and as a universal medium between abstraction, landscape and photography in the history of Canadian art. Our point of view affects our landscape. 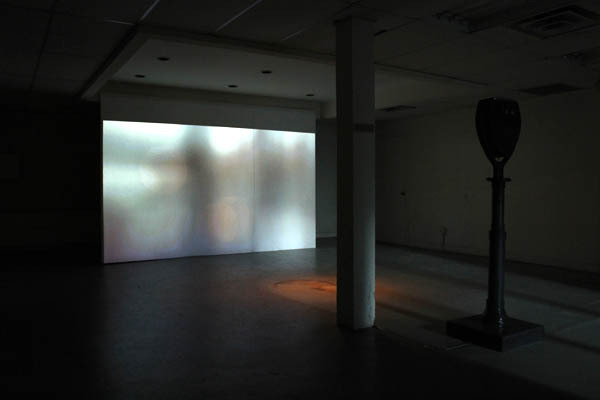 This installation invites participants to focus and find a point of view.